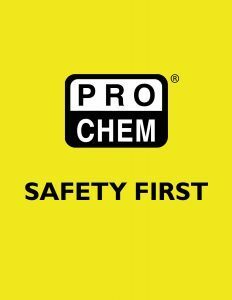 SAFETY SHIRT-CL2-YELLOW | Pro Chem, Inc. 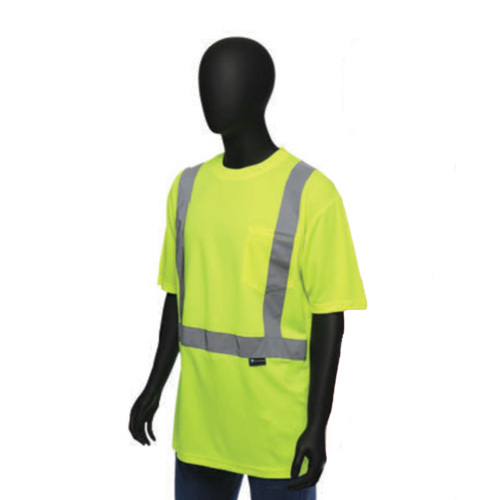 This fluorescent yellow SAFETY SHIRT helps to keep you safe and reduces your risk of an accident. It is ANSI/ISEA 107-2015 CLASS 2 rated and meets the standards for High Visibility Apparel and Headwear. CLASS 2 is defined by the amount of retroreflective tape per yardage, its size and amount of background material. This SAFETY SHIRT is safe to use on roadways, construction jobs sites and other work areas that require high-visibility ANSI protection. Made from knitted 100% polyester, this fabric allows breathability and comfort. Retroreflective tape illuminates day and night.